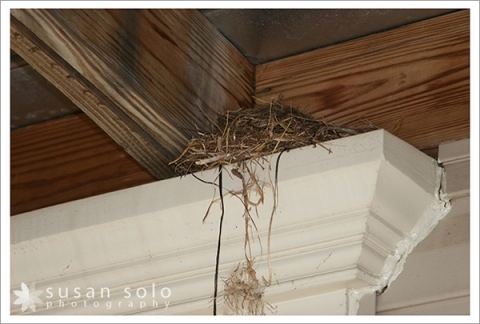 Chris and I were really excited last spring to see that a bird had built her nest above the front door of our house. 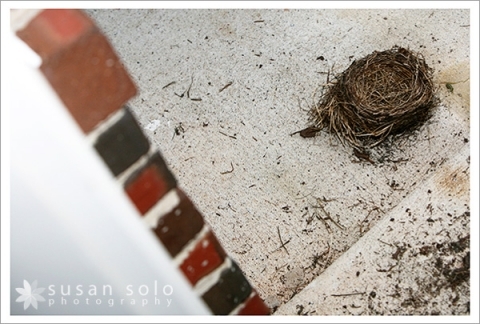 We anxiously awaited the arrival of baby birds, but unfortunately the front door is also right next to our extremely loud garage door, and mama bird eventually left to find quieter quarters I guess. So, no babies.